Dogs don’t speak our language unfortunately and need time to understand what we’re asking of them. We need to learn that what we may see as mischief can sometimes be the dogs’ natural behaviour or their way of trying to tell us something. Dog and owner need to work together to start understanding each other better. Sadly, almost half of the dogs brought to the SPCA are given up because their owners failed to understand them and could no longer accept their natural doggie behaviour. When owner and dog cannot communicate properly, the quality of life for both is affected. Pulling on the lead, running away, jumping up, knocking people over and barking all the time (particularly when left alone at home) – These are a daily challenge for owner and dog alike. 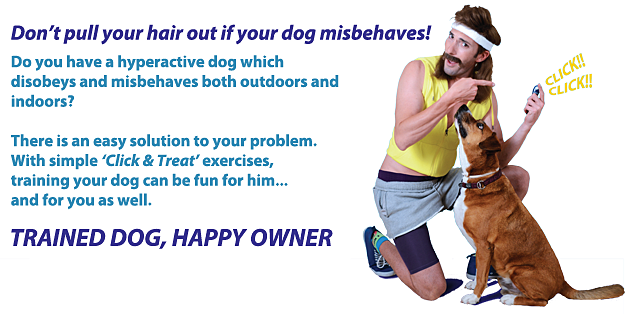 What the owner perceives as mischief or bad behaviour would in fact be a cry for help from the confused and frustrated dog. But it doesn’t have to be this way. Dogs have an incredible capacity to learn and respond naturally to positive training methods. Every dog owner would love nothing more than to have a well-behaved dog that fits happily as a family member. Dogs on the other hand want nothing more than to please their owners. There is nothing more rewarding to them than sensing that their owner, who is the centre of their doggy universe, is pleased, happy and proud of their behaviour. Help is at hand. Dogs Trust and SPCA have launched a new campaign to help dog owners and dogs to discover the joy and simplicity of dog training. It’s fun for both owner and dog and will help instil that special bond between you, which will make lives easier and happier for both Dog and Owner.